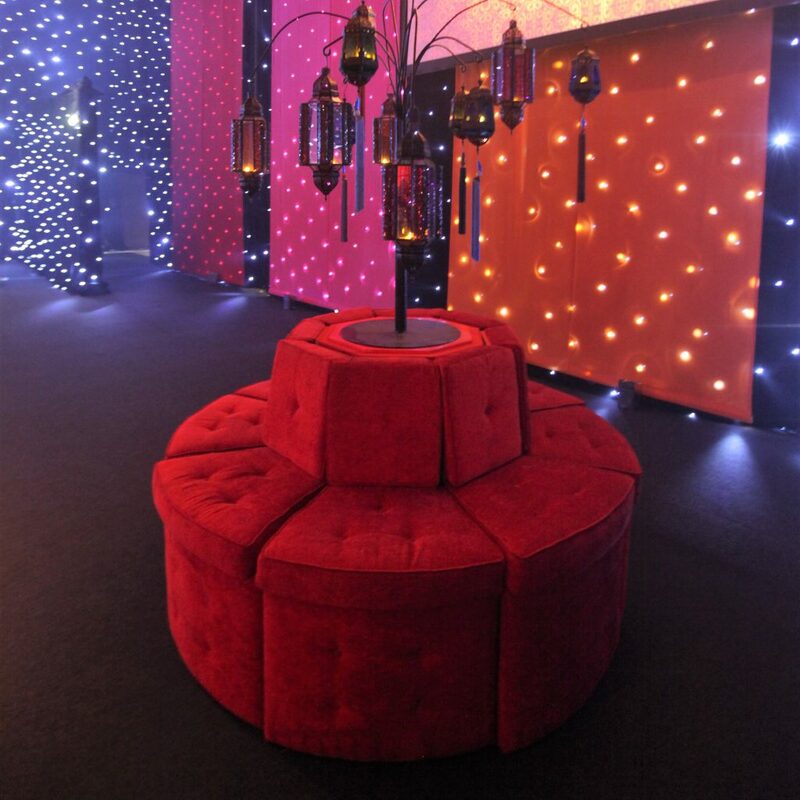 Inject some colourful glamour into your venue with this stunning, rich red velveteen circular seating unit. 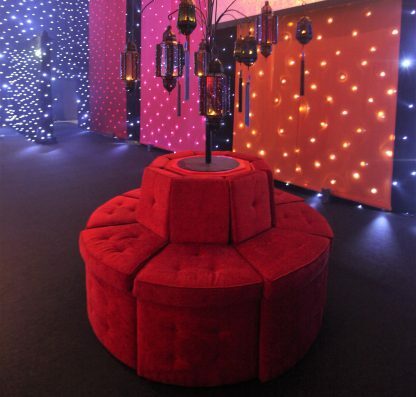 For the extra wow factor, just add one of our gorgeous vases filled with flowers, feathers, or whatever takes your fancy! For indoor use only.